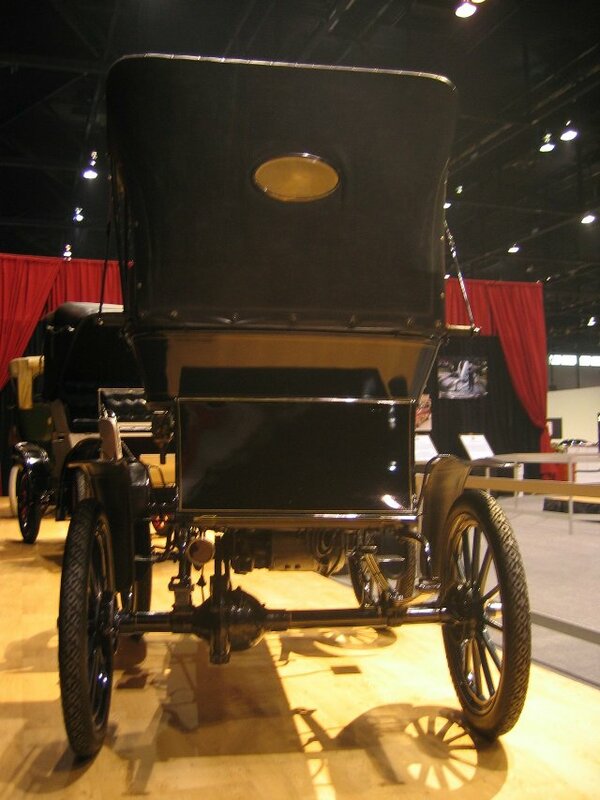 Columbia 1903 Runabout at the 2008 Chicago Auto Show . . . . . . . .
Electric-powered automobiles were once a big deal. 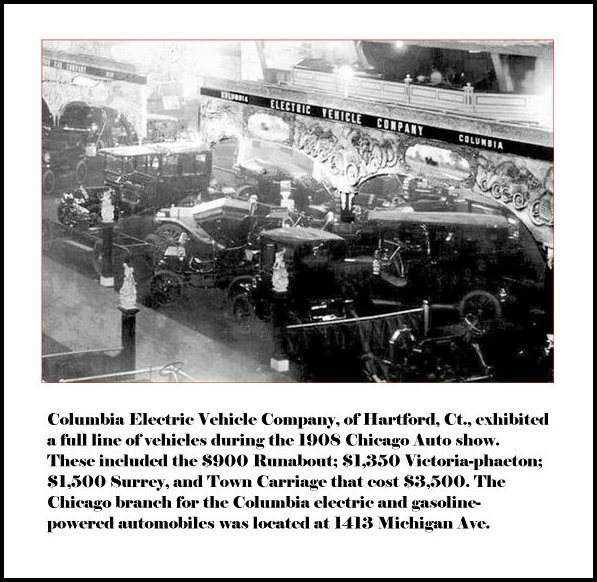 As the 20th century began, a Hartford, Connecticut, combine, Pope Manufacturing and the Electric Vehicle Co. (with the help of Studebaker), was building hundreds of electric cars annually using the Columbia brand name. 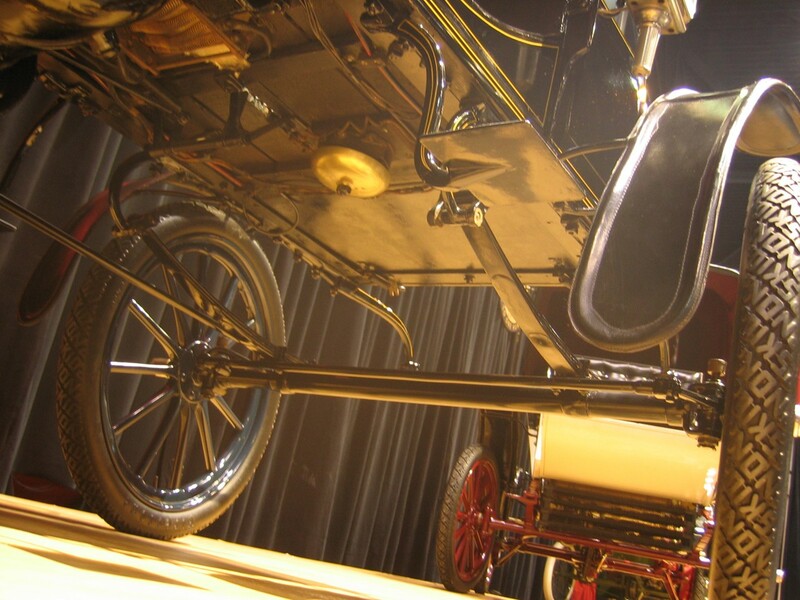 In contrast, most American gasoline-engine pioneers were making their first 25 or 50 cars then. 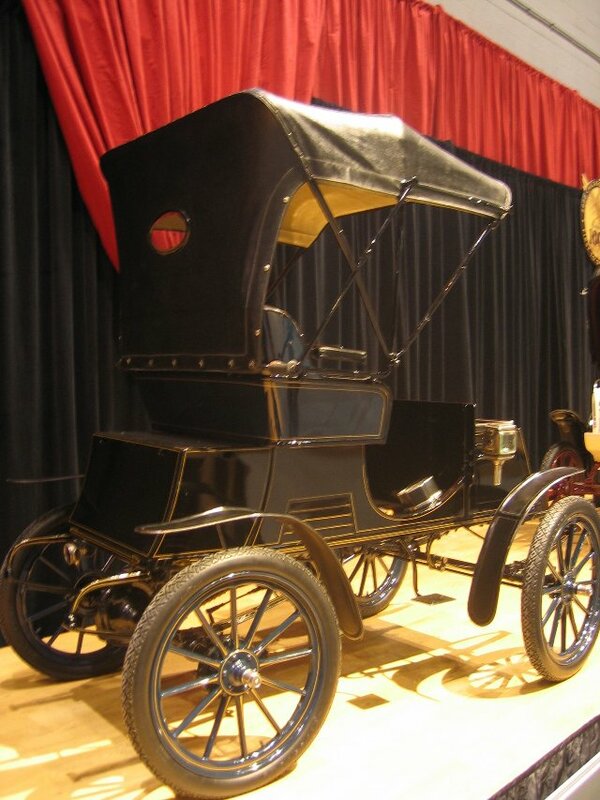 The Columbia runabout was basic transportation, resembling a horse-drawn vehicle, with a single bench seat. 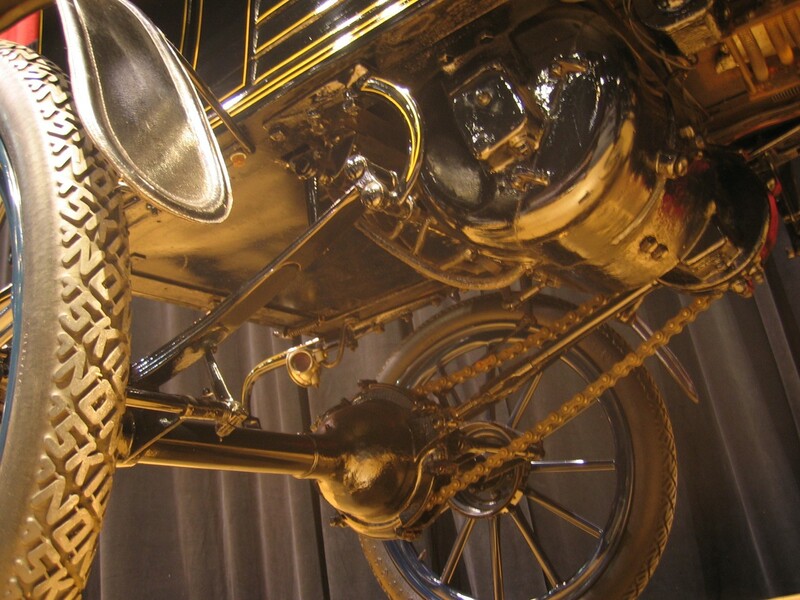 It has a 64-inch wheelbase and 30-inch wood-spoke wheels (covered by leather fenders), and weighs 1200 pounds. The car listed for $850 (without a top), while a Curved Dash Oldsmobile was $650. 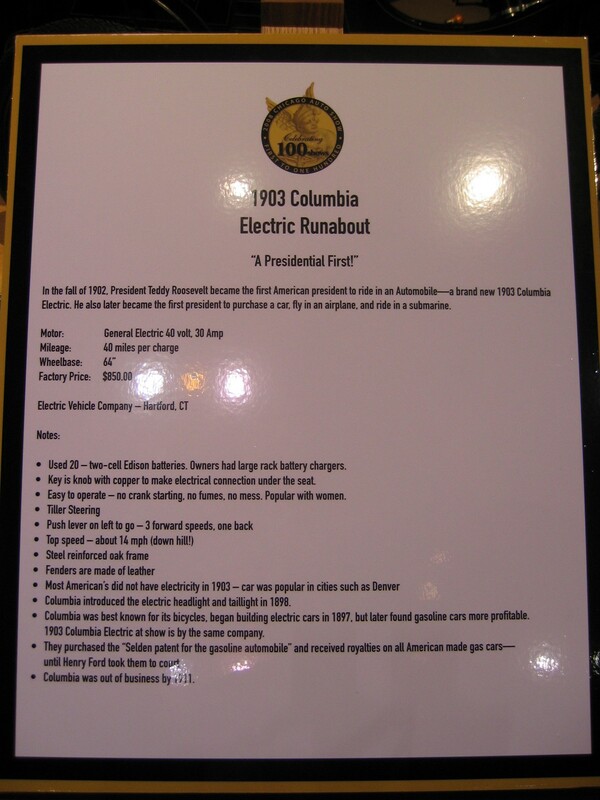 When this runabout was new, Columbia was the leading maker of electric cars—with 20 different models, from runabouts to private buses, plus commercial versions such as police cars and taxis. Demand was strongest in large cities where road conditions were best. There, the electric vehicle’s quiet operation was appreciated, and battery recharging facilities were readily available. 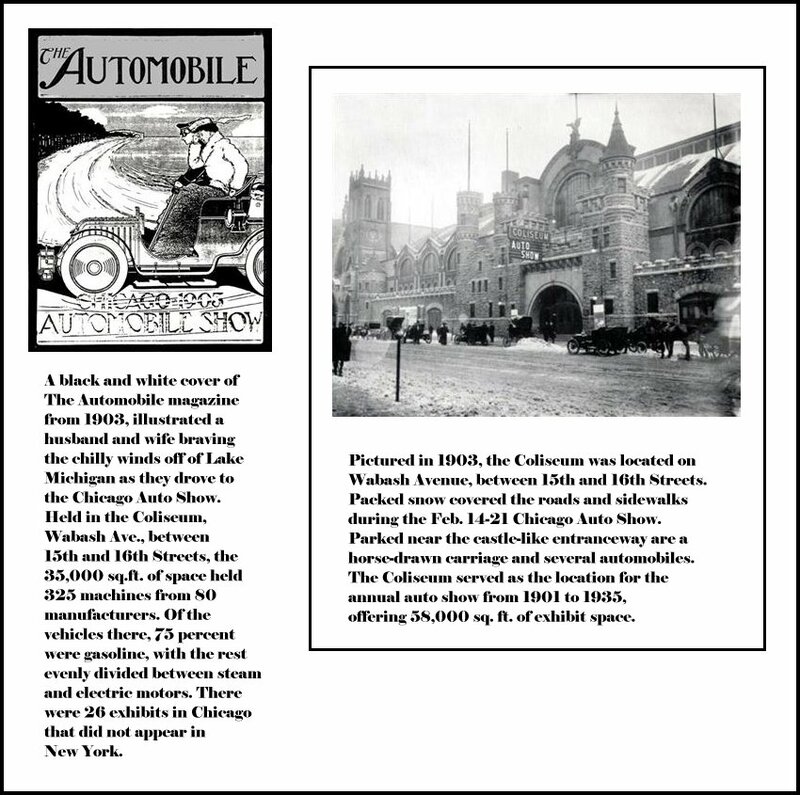 Columbia sought an upscale image for its cars and the perfect upscale venue for its main New York showroom opposite the Metropolitan Opera House. 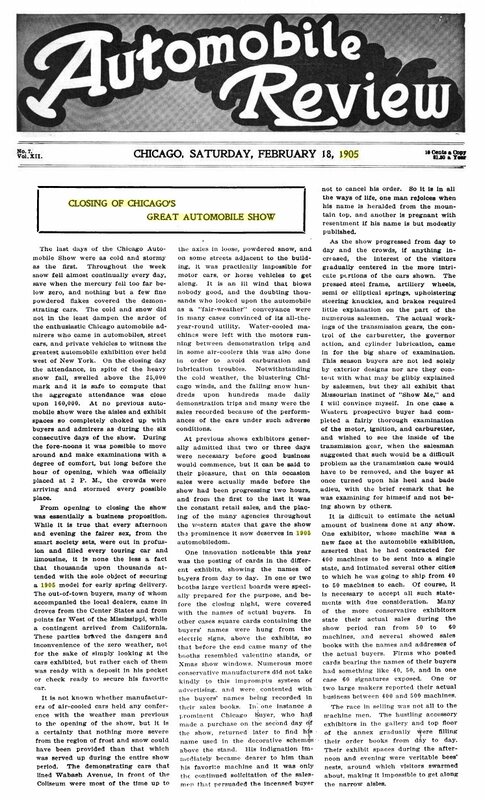 But the resale market for the vehicles in the city was not so proper: “Automobiles Slaughtered,” exclaimed one seller’s ad in bold letters, describing a 75 percent markdown from original list price. 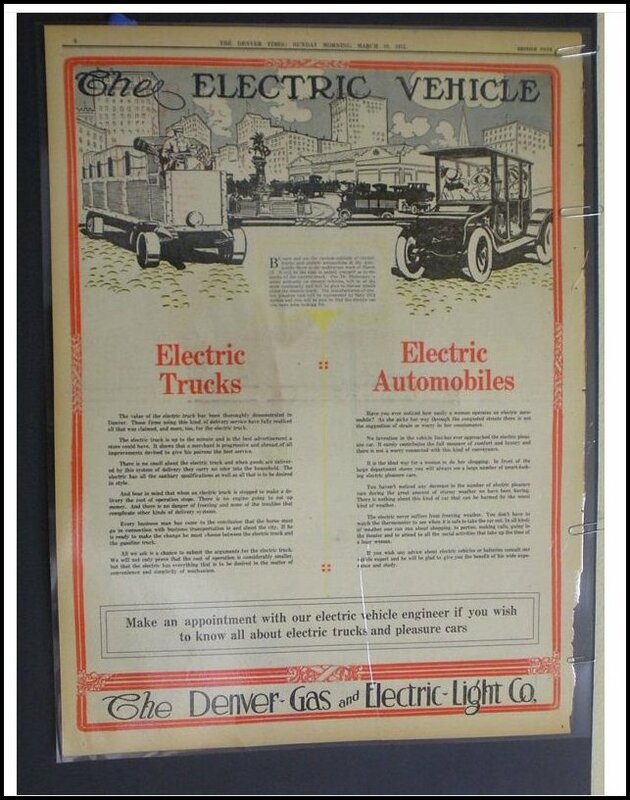 Clare Stannard, president of the Denver Gas & Electric Co., originally purchased this runabout. His firm was at the forefront of promoting electric cars—Denver was said to have the highest per capita use of them in the country. [See the 1912 ad from a Denver newspaper at the bottom of this webpage.] 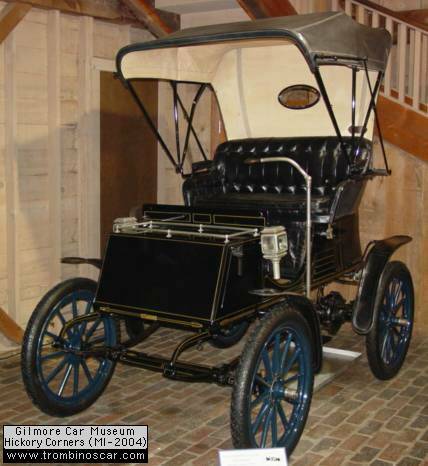 In 1966, Donald Gilmore purchased this runabout for his Gilmore Car Museum in Hickory Corners, Michigan, where it remains today, looking brand-new and ready to go. The runabout is great fun to drive. The tiller implies a challenge to anyone who has not used one, but it is quickly mastered. The car’s lightness makes steering comfortable and very responsive. It runs almost silently, the loudest sound coming from the chain drive. 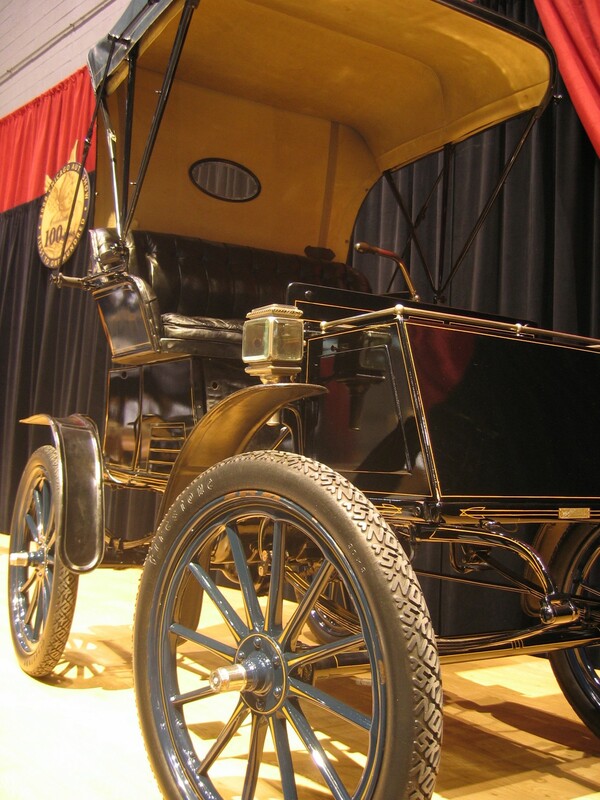 The car seems perfect for short distances; yet incredibly, it was capable of longer runs, like the Columbia that drove 250 miles between Boston and New York in 23 hours in 1903. Starting the Columbia is simple. Instead of a key or starter button, there is a drawer-pull-shaped device, with a copper and brass end. It is inserted into a socket underneath the seat to complete the connection between the batteries and the series-wound motor. The knob sticks out from under the seat to remind the driver the power is on (the museum keeps a number of spare connector knobs on hand, just in case). 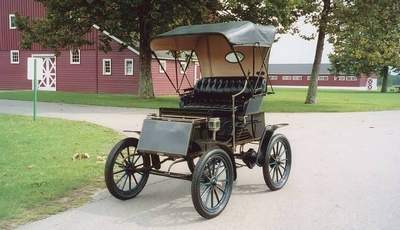 This Columbia was originally equipped with a set of 20 Exide batteries (Exide was related to the Electric Vehicle Co.) placed above the front and rear axles to distribute weight. They required recharging every 40 miles. 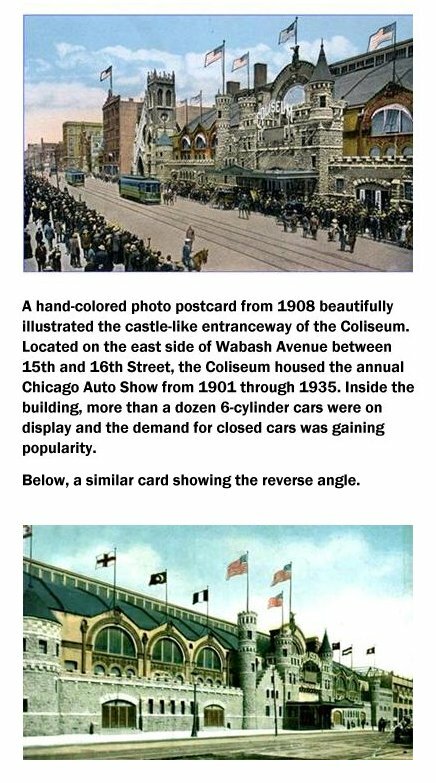 Today, the Columbia runs on six modern six-volt automobile batteries—three under the front hood, three behind the seat. 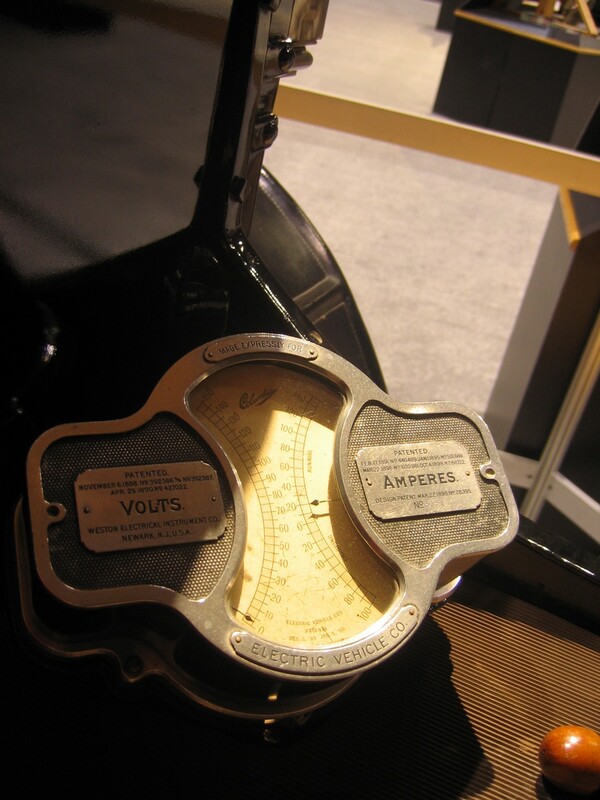 An enormous and artistically shaped metal gauge sits on the floor, taking up the better part of the passenger’s foot space, to monitor the batteries’ operation. A flat metal bar to the left of the driver is both gearshift and accelerator. Pushing forward engages three speeds, pulling back activates two in reverse. The top speed was—and still is—about 15 mph. The brake pedal takes some effort and time to work the two-wheel brakes. A bell sounds when the stop is complete. 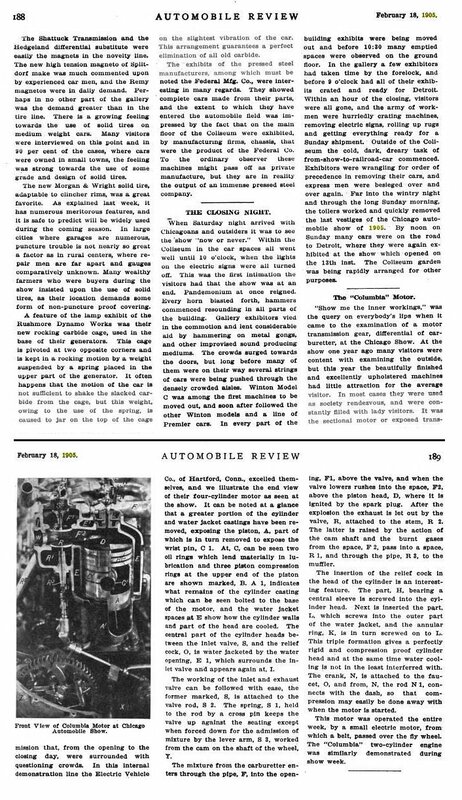 The Electric Vehicle Co. diversified by purchasing the Selden gasoline-engine patent, which generated royalties from anyone building internal combustion engines and set up a contentious relationship (including lawsuits) with the other automobile manufacturers. 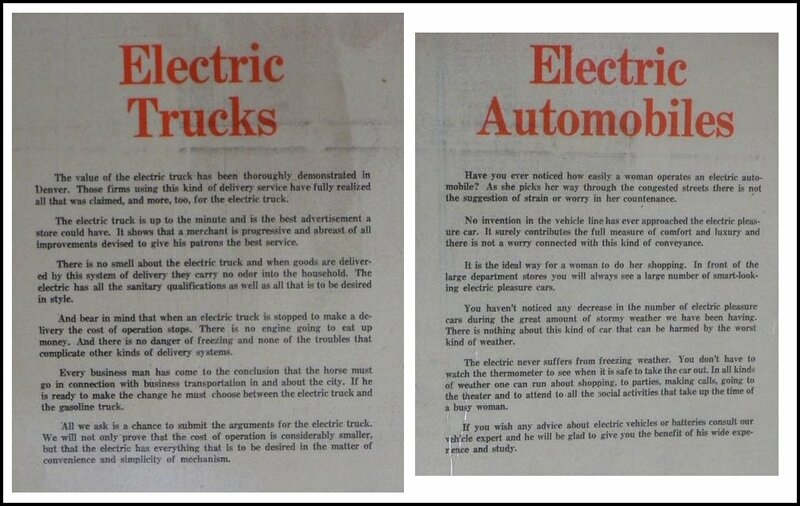 It soon undermined Electric Vehicle’s finances. 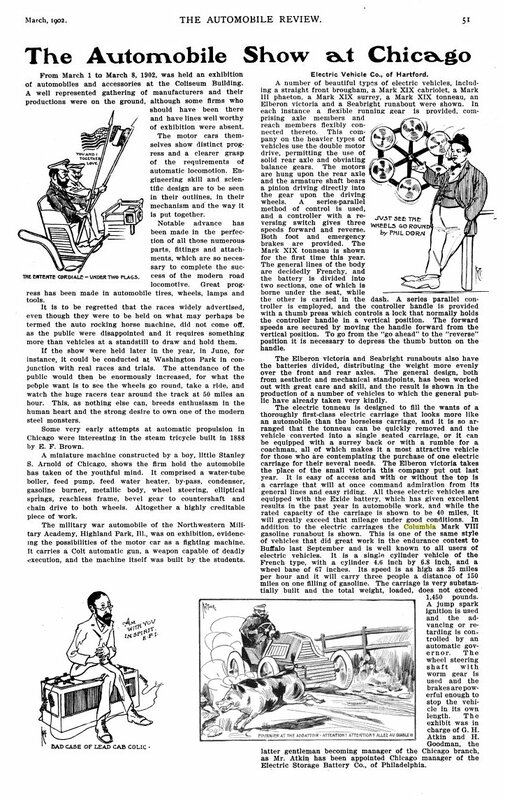 In 1911, legal challenges to the Selden patent finally succeeded, rendering it meaningless. 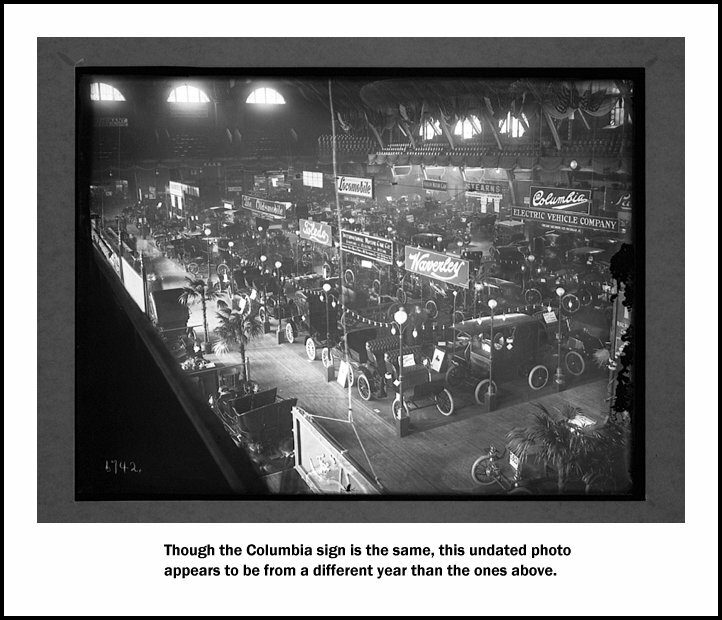 Production of both Columbia electric and gasoline cars ended soon after. 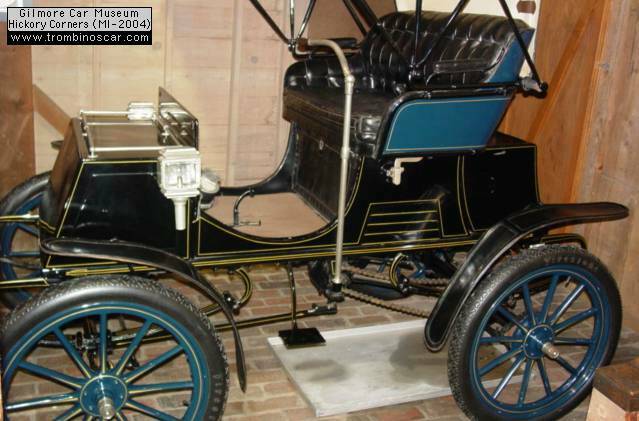 1904 : les écarts de prix sont encore plus importants allant du runabout à $850 au torpédo 4 cylindres de 36cv à $5000, 37 modèles en tout! 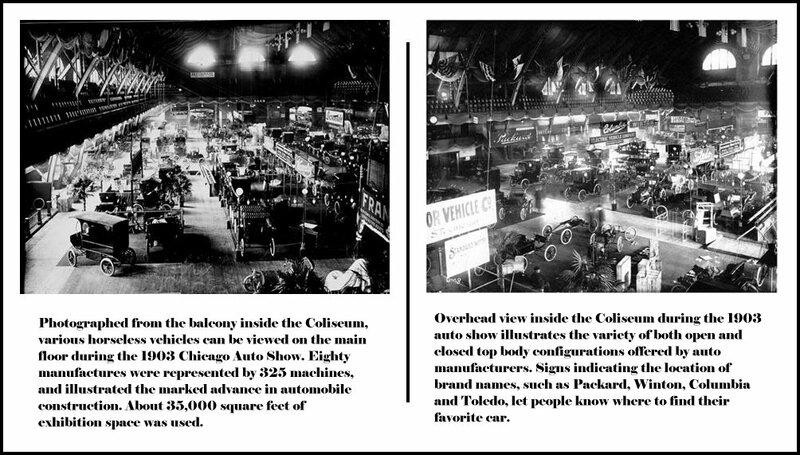 at the Chicago Auto Show of 1903.
couple of other early Windy City Expositions. 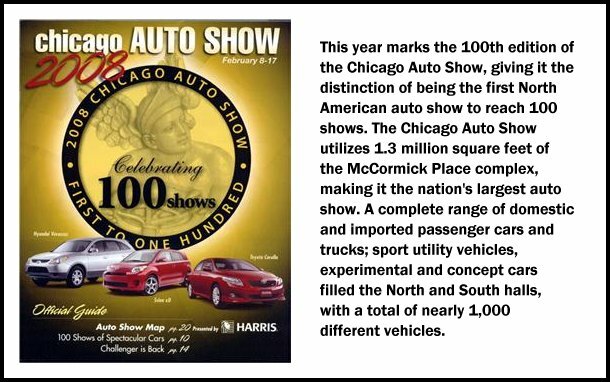 page about the original Chicago to New York record. To return to the previous Columbia page, click HERE. right through to the end of production in 1913.